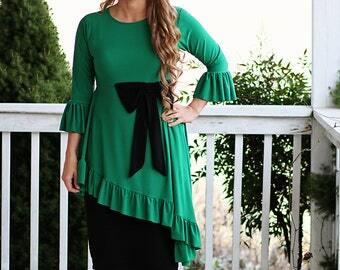 The Bree ruffled circle dress. 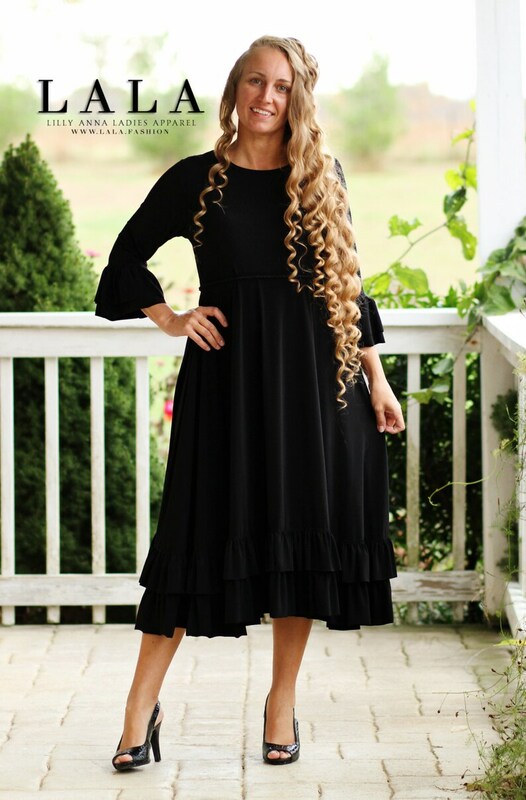 If you're looking for the perfect modest little black dress that is comfortable, this is it! 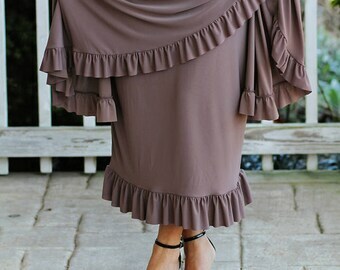 Two ruffles on the sleeves and hem and the fabric is so luxurious feeling. You will feel graceful, slim and comfortable! So comfortable it can be worn as a nightgown. Can be worn with a belt or without. Belt not included. Would look darling with a vest or blazer worn over it. Three quarter length sleeves unless otherwise requested. Please check the measurements and order accordingly. All fabric options are knit. All seams are serged. Allow 2-3 weeks for your shirt to be made and delivered. 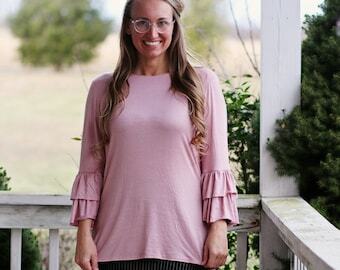 Leave a note about the sleeve length you desire. If no preference is noted I will send long sleeve.